The Taiwan based computer hardware manufacturing and electronics company, Asus has announced the price and availability of the new ultrabook, ZenBook UX305 on Monday, February 16. One of the Asus spokespersons reported that the Zenbook UX305 is available in two variants, one of them comes with an anti-glare, matte IPS display with 1920 x 1080 pixels of resolution meanwhile, the other one is claimed by the company to be “world’s slimmest 13.3-inch ultra,” as it measures 0.48-inch of its thickness. Packed with impressive specifications, the company has considered the best optimization between portability, style and performance as it weighs only 2.6 pounds and delivers quite a decent performance. The Asus Zenbook UX305 has a 13.3-inch 1080p anti-glare display. The device is featured with a brand new Intel Core M processor and comes with a “solid aluminum frame enhanced with diamond-cut highlights” that delivers 10 hours of battery backup. Taking technical specifications in account, the ultrabook is packed up with 8GB RAM and a 256GB SSD for storage. Moreover, an Ethernet port and three USB 3.0 ports are available as connectivity options. 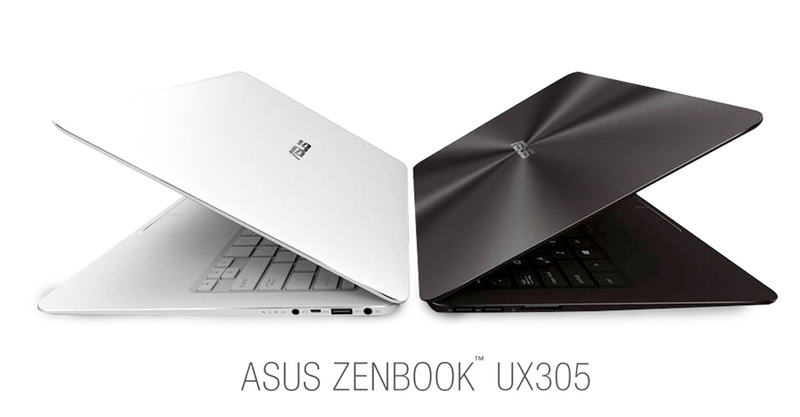 The Asus Zenbook UX305 was launched in September last year at the IFA show in Berlin. However, Asus has confirmed on Monday that one can now buy the device without drilling a hole in your pocket. As in the United States, the full-HD model will be available with a price tag of $699 that is a much lower price as the other laptops with same features are available at a higher cost. As per the reports, it is expected from the company that higher-end devices might be available by April this year. Moreover, Asus is trying to step up to a 3,200×1,800 resolution touchscreen in its next ultrabook. At that point, it could be compared to the other portable machines like the Yoga 3 Pro, that boasts a QHD+ display.